My quest for the perfect fig bars started when I found some fantastic end of the season figs at my local market. To make sure I didn’t lose them, I made the fig filling right away to use in a fig bar recipe at a later time. I thought when I set out to make these Fig Bars it would be simple, not so, it took way longer then I thought it would. Thank goodness I’d made a large batch of fig filling. Regardless, the effort and results were indeed worth it. While I was at it, one of my tasters recommended I also make a version using Dates. So that’s what I did; it was fun and straightforward. Ingredients: Makes approximately 24 to 16 bars (depending on how you cut them). Preheat the oven to 375°F. Grease the bottom and sides of a 2-quart baking dish with butter. In a small bowl, mix the desired filling with ¾ of a cup of the chopped nuts and set aside. In a large bowl, cream the brown sugar and butter until light and fluffy. In a separate bowl, add the flour, oats, baking soda, salt, nutmeg, and remaining nuts and mix to distribute the dry ingredients evenly. Combine the dry ingredients with the butter-sugar mixture and stir until you’ve achieved a crumbly texture. Spread half of the crumbled mixture in the bottom of the baking dish and evenly press until flat and level. Sprinkle the remaining crumble evenly over the filling. Lightly press the topping until smooth and flatten. Bake for 35 to 40 minutes or until golden brown. Remove the baking dish from the oven, run a sharp oiled knife around the edge of the bars. Clean the blade, re-oil and cut the bars. Allow the cut bars to cool in the baking dish for 15 minutes or so. Carefully remove each bar and place them on a cooling rack until they’re at room temperature. Store the bars in an airtight container for up to a week, if they last that long. Notes: DO NOT use quick oats. It will not give you a great result. Oiling the knife to cut the bars while they’re still hot is a great way to have the knife slide through without dragging the hot filling along with it. Directions: Combine all the filling ingredients in a small saucepan and bring to a boil. Reduce to a simmer, constantly stirring, cook for 10 to 15 minutes until the mixture has thickened, and most of the liquid has evaporated. If necessary, mash the filling a bit to break it down. Ladle the filling into an airtight container and allow it to cool and then store it in the refrigerator or freeze for later use. 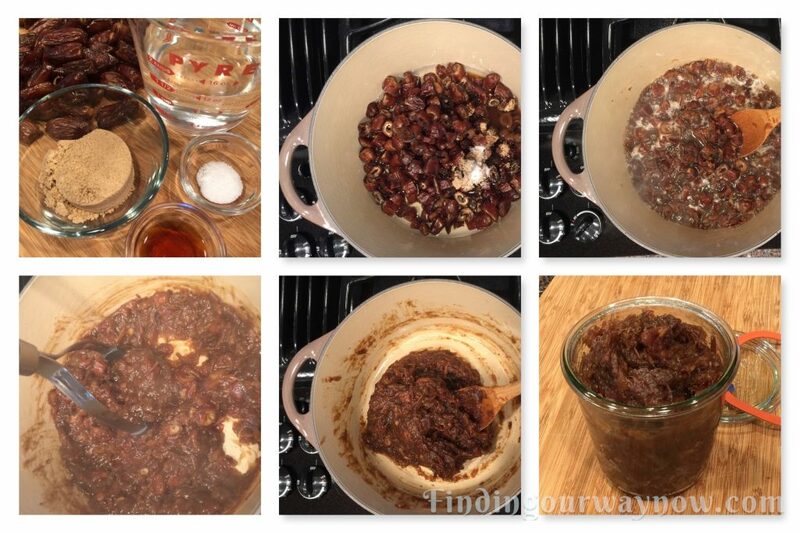 Notes: When figs are in season I find making this filling and freezing it for later use is an excellent thing to do. This filling is also a lovely addition to filled cookies. 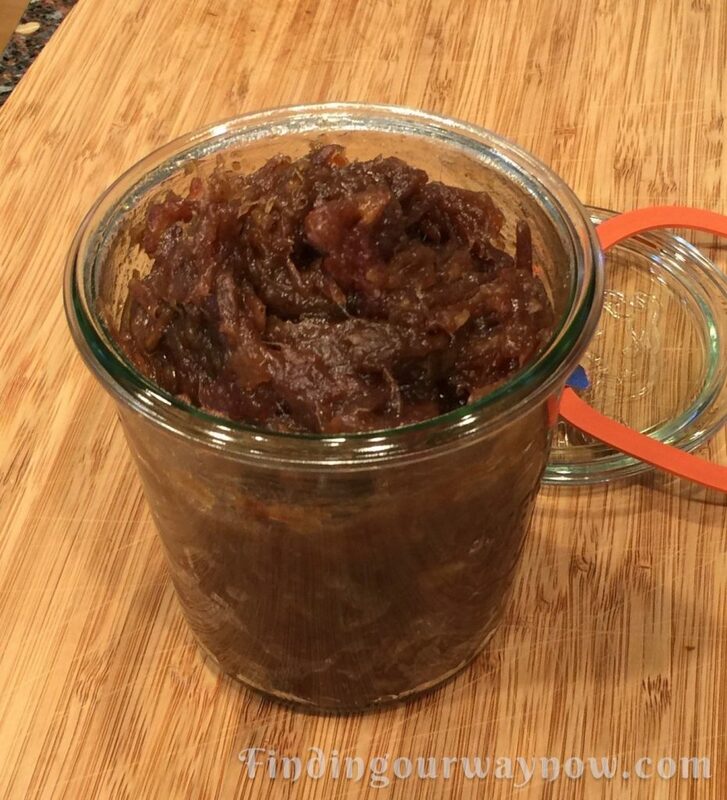 If fresh figs aren’t available, you can certainly make a fig filling using approximately 14 ounces of dried figs. Directions: Makes approximately 2½ cups of filling. 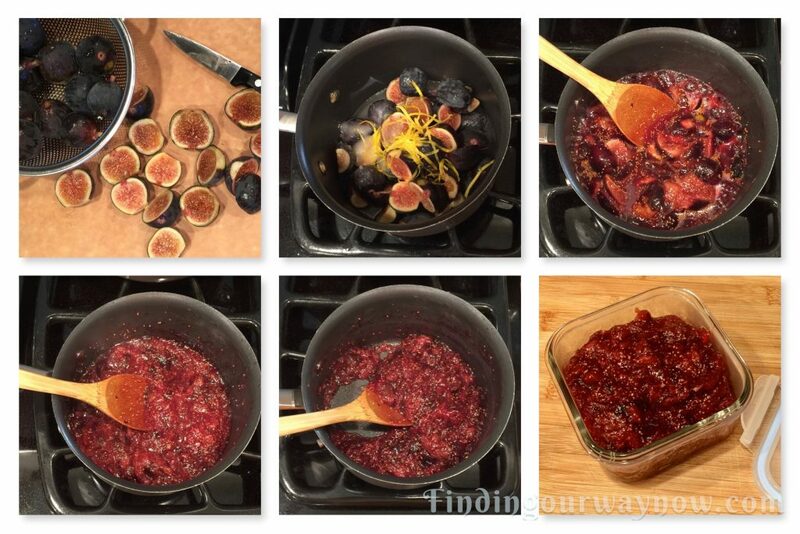 Soak 14 ounces of dried figs in hot water for about 30 minutes; drain off the water, trim and chop. 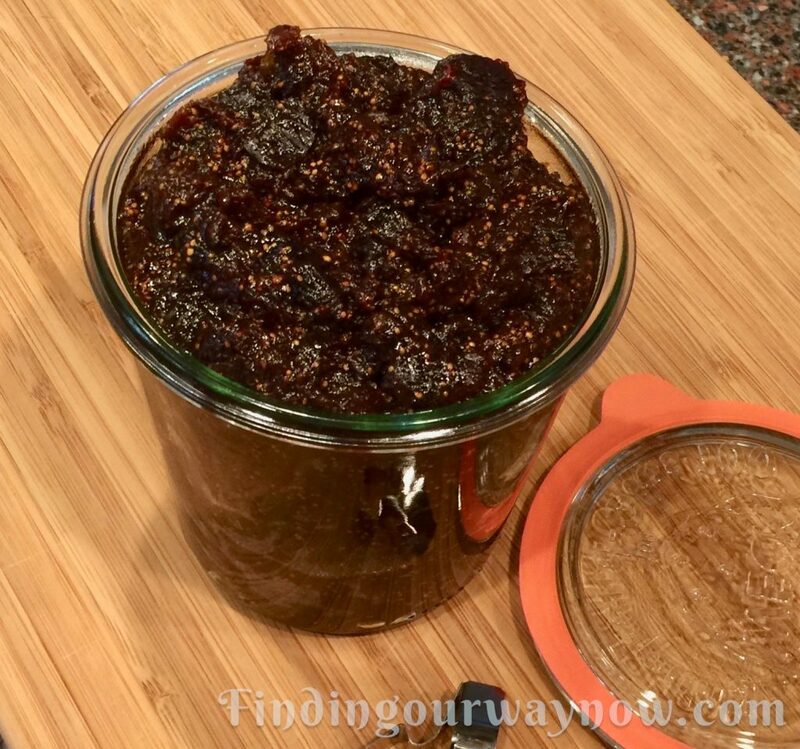 Add an additional 1½ cups of water to the above fresh fig filling recipe, continue with the above instructions, cooking until you’ve achieved a thick, spreadable consistency. You may need an additional splash of water if the mixture dries out too fast. When done, divide the filling in half and ladle it into two jars or airtight containers. Allow the filling to cool to room temperature. Refrigerate or freeze it until you’re ready to use. Notes: There are times the dried figs will be pretty hard. Fear not, in a saucepan, place the dried figs in water. 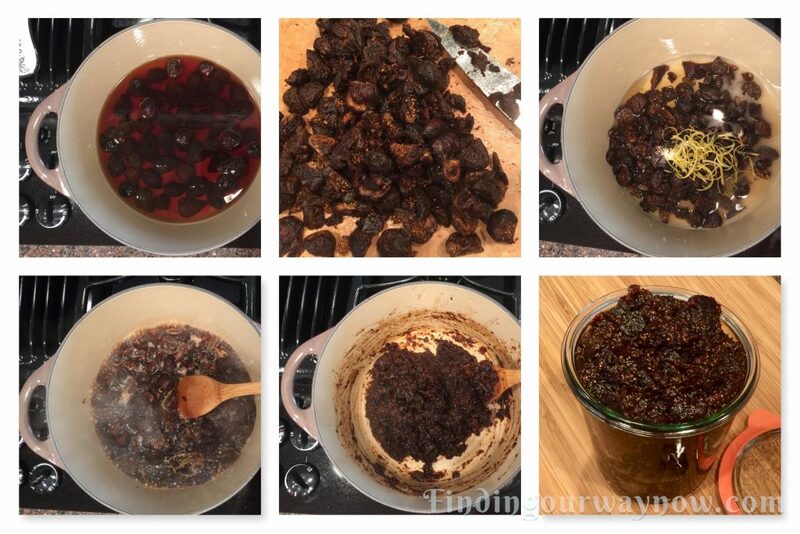 Heat the water to a simmer and then turn it off and allow the figs to soak in hot water until they’ve softened to a point they can be easily chopped. Directions: In a 2-quart saucepan, combine all the ingredients and bring to a boil. Reduce the heat to a simmer for 7 to 10 minutes, continually stirring, until a thick, spreadable consistency is achieved. Divide the filling in half. Ladle the filling into two jars or airtight containers. Allow the filling to cool to room temperature. Refrigerate or freeze it until you’re ready to use. Final Notes: A big plus is both components (the crust and filling) can be made ahead of time, stored in the fridge before assembling and baking. 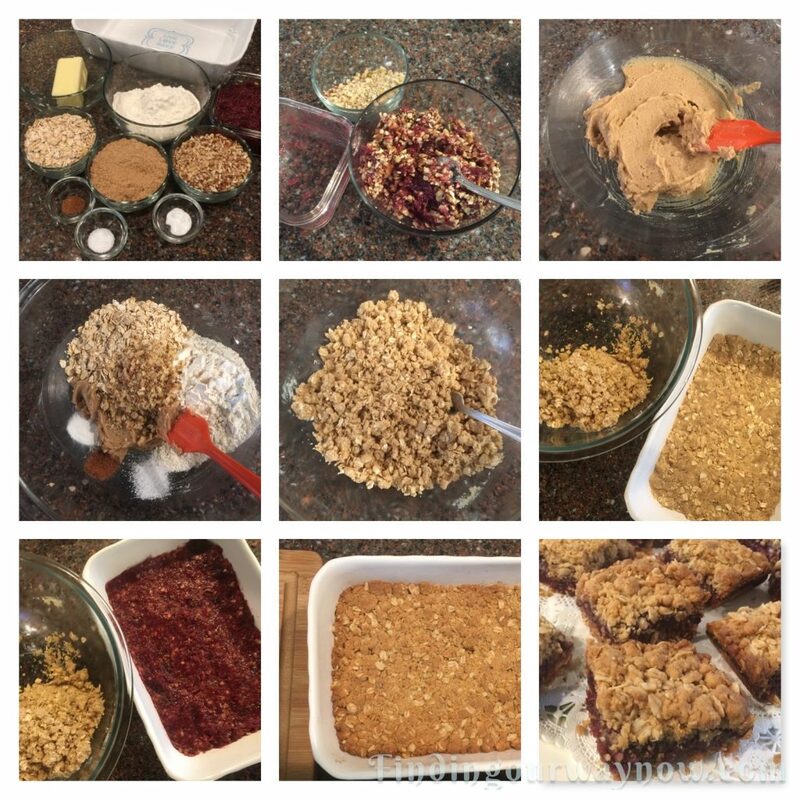 If you prefer a thinnner Bar, use a 9×13 baking dish for the same ingredients. The above fig and date filling recipes are lovely in filled cookies. For that reason, I’ll make a larger batch and freeze what I don’t use. 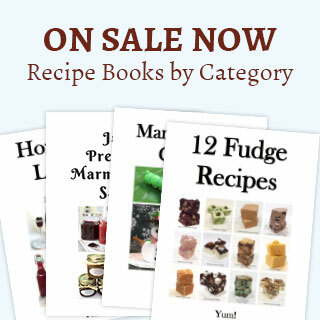 I’ve been asked if you can use jams or preserves as a bar filling. I tried it; it didn’t work; as a matter of fact, it was an epic fail. 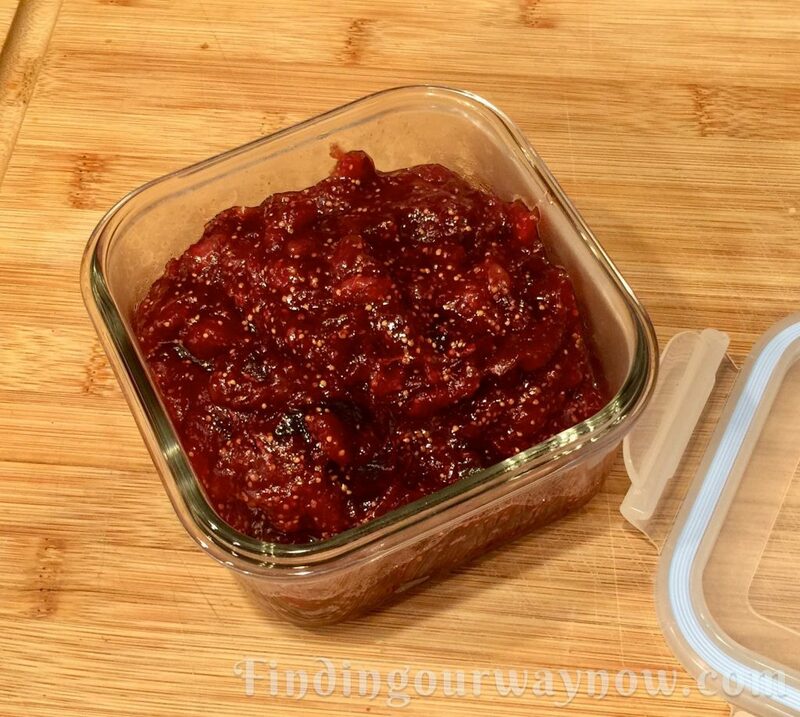 Jam and preserves are way too moist and will not firm up in the cooking. 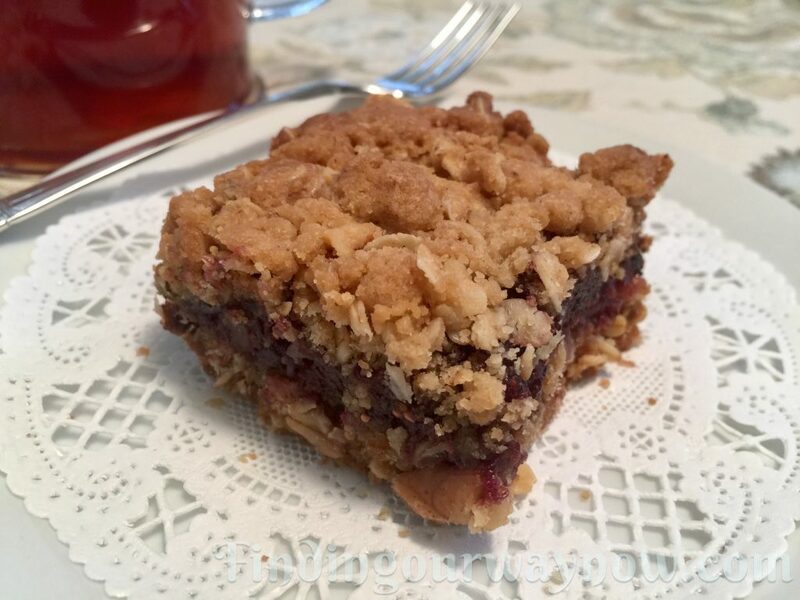 The bottom line is there is a big difference between jams and preserves and bar and cookie fillings. 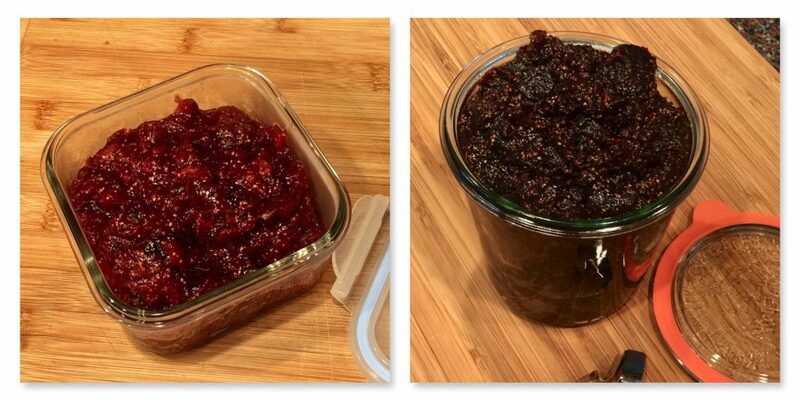 Many types of fillings can be used, just follow the basic fresh fig filling recipe with fresh berries or stone fruits to make a thick, spreadable paste. 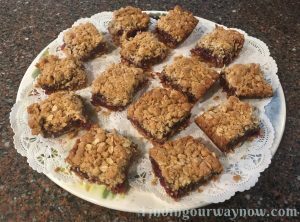 Now that you have this great Fig Bars Recipe in your arsenal of goodies, why not make a batch and see how fast they disappear. Yum.